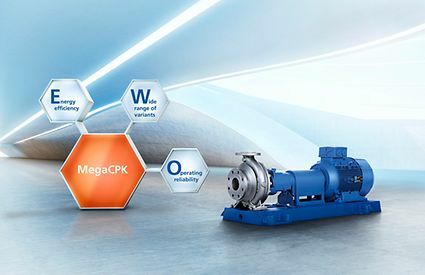 MegaCPK is a particularly powerful standardised pump destined for the chemical and petrochemical industry, and many other fields of application. The optimised design of its hydraulic components sets new standards in energy efficiency. 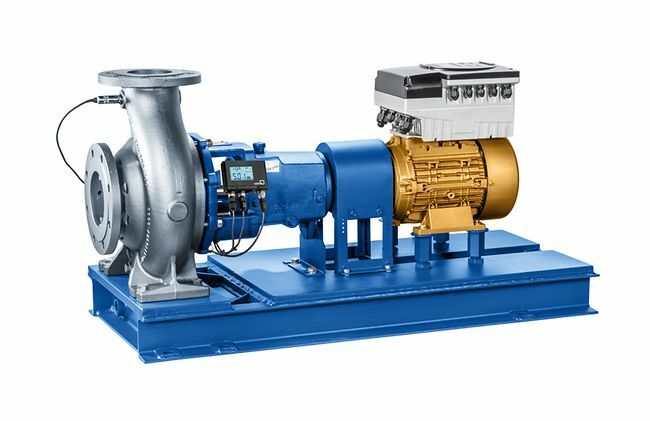 This standardised pump offers particular flexibility and suitability for numerous applications, and can be easily adapted to local conditions. 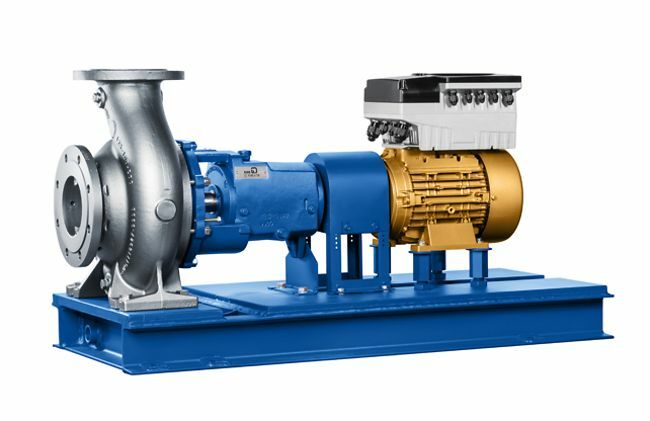 Trimming the impeller to match individual customer and plant requirements, and high-efficiency drives contribute to utilising energy optimally. The required operating point can even be achieved with smaller sizes. Using the chemical pump with PumpDrive saves up to 60 % of energy. In addition to this, PumpMeter indicates to users how efficiently the pump is running. 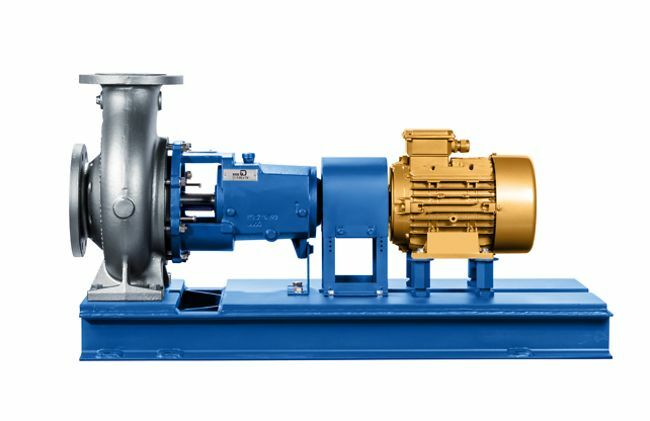 The new standardised chemical pump is based on a comprehensive modular design system that accommodates for any adaptation to the customers’ needs. It is available in a choice of hydraulic systems, impeller and casing types, shaft seals and in many materials. The extended selection chart offers even more additional sizes. The pump is more rigid, generates only minimal axial thrust and offers exemplary hydraulic characteristics. Its low NPSH ensures that the pump runs quietly and smoothly. So MegaCPK stands for high operating reliability – day after day.